Dexter Daily: Michael C. Hall: "The Focus Can't Be on Satisfying the Fans, But Satisfying Our Storytelling Instincts"
Michael C. Hall: "The Focus Can't Be on Satisfying the Fans, But Satisfying Our Storytelling Instincts"
via CBSNews.com: Michael C. Hall has played everyone's favorite serial killer on Showtime's Dexter for the past eight years, but after more than 100 kills, the show is coming to an end. The question loyal fans of the series really want to know is will Dexter get away with his murders? The writers of the show have said they have known from the beginning of the show how it would end, but will fans be satisfied? 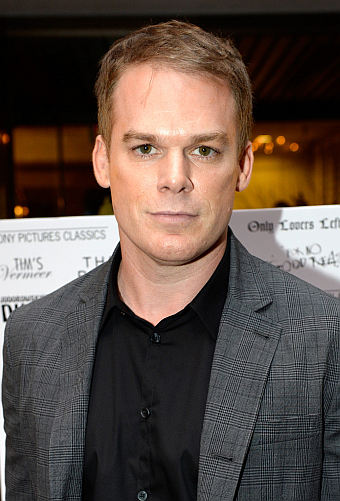 Michael C. Hall, also an executive producer on the show, said fans will react somewhere on this spectrum after the finale: "I'm sure some people will love it and some will be horrified or scandalized, and there's some people in...between those two things, but I think we feel like we brought it to a close that really organically feels like it makes sense to us," he said. He also said, "The focus can't be on satisfying the fans, but just satisfying our storytelling instincts and our sense of these characters." Hall said playing Dexter, who was at first a cold killer devoid of feeling who changed through his experiences, was a challenge. "Initially, the character who we meet at the beginning is so far from who he is now," Hall said. "I think the biggest challenge was maintaining a sense of the character's truth throughout his evolution because he went through so many twists and turns and became arguably at least more human and that was probably the hardest part."